Nifty opened weak on the back of bad global cues but moved up to touch the previous day’s close level only to be sold off and closed weak at 6221.45, huge loss of 55.50 points. The broader market was also weak, with 578 advances to 859 declines. Tight range is developing for the Series at 6100-6400. Call option 6200-6700 added 18.65 lacs huge amount of OI with small short covering seen at 6000 and lower strike prices. Put option 6200-5700 added 29.57 lacs huge amount of OI with small short covering seen at 6500 and above strike prices. Nifty Open Interest is at 1,34,53,100 down by 2,52,350, with decrease in price, most probably huge long liquidation. Bank Nifty Open Interest is at 14,39,600 down by 1,07,050, with decrease in price, most probably huge long liquidation. FII’s sold huge 5.16 lacs Futures, mostly long liquidation, as their net OI decreased by 1602 contracts (includes 37633 longs and 47957 shorts for the day) and the average price per contract comes to around 6118.94. FII’s future open contract as on date is 292112. PCR Open Interest (Volume) is still hanging around 1.141. 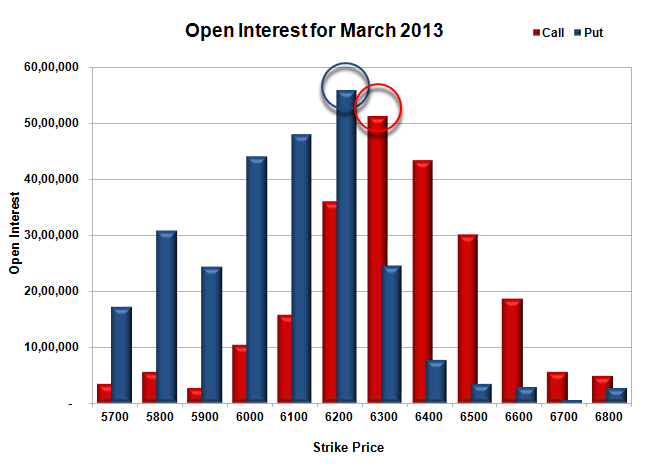 Initial and best support at 6200, with highest OI of 55.89 lacs and below that at 6100 with huge OI of 48.05 lacs. 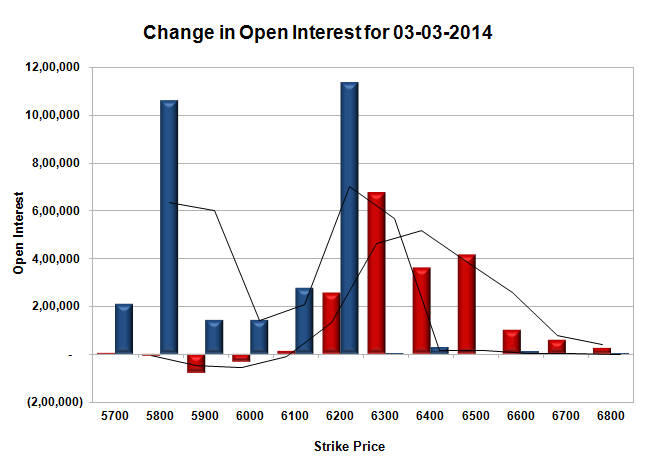 Initial and best resistance at 6300, with huge OI of 51.16 lacs and above that at 6400, with OI of 43.41 lacs. 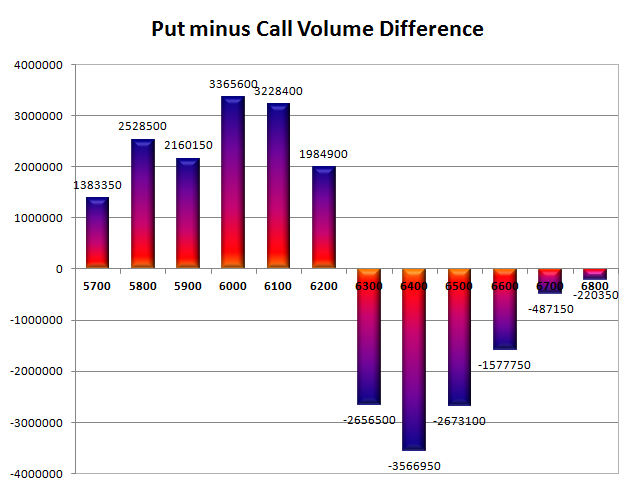 Day Range as per Option Table is 6190 - 6276 and as per VIX is 6172 - 6271 with 6237 as the Pivot.